This guide assists you in finding information about Deaf Theater. 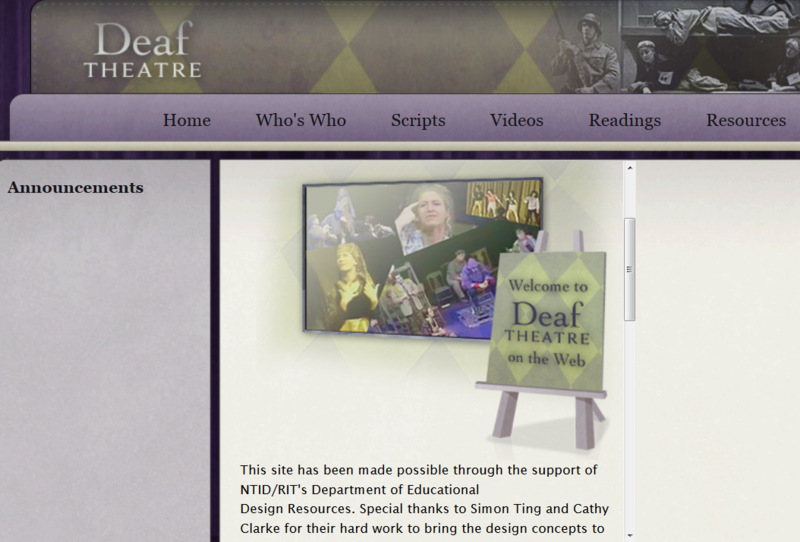 A recommended website, Deaf Theatre created by Aaron Kelstone with input from Patricia Durr and Joan Naturale is available. Extensive biographies of 35 Deaf playwrights and their works are available. Almost all of the resources that are listed in this guide are available online in the Deaf Theatre website. If not, they are available in the library.